At Whitten Brothers of Richmond we have a wide selection of certified pre-owned cars, trucks, and SUVs. Choose from popular used Makes such as Chrysler, Dodge, Jeep, Ram, Mazda, Honda, Ford, Toyota, Nissan and Chevrolet. By purchasing a certified pre-owned vehicle through Whitten Brothers of Richmond, you’ll get all the benefits of purchasing a used car, plus added protection. 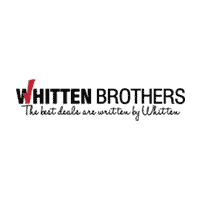 Benefits of purchasing a certified pre-owned vehicle from Whitten Brothers include a 3-month/3,000 mile maximum care warranty, a 7-year/100,000 mile powertrain limited warranty, a 125 point inspection, and roadside coverage allowances. Whitten Brothers of Richmond keeps a large inventory of certified pre-owned cars such as the used Honda CR-V, used Ram 1500, and used Ford F-150. Browse our website and then visit our Richmond dealership to see what we have in stock and to take a test drive of the car, truck, SUV, or van that you’ve been wanting.